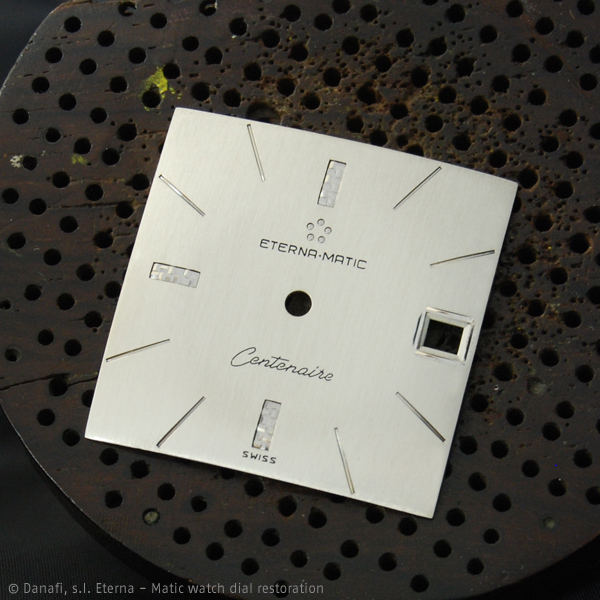 We are glad to show a new restoration of a special dial for the difficulty of the dial. 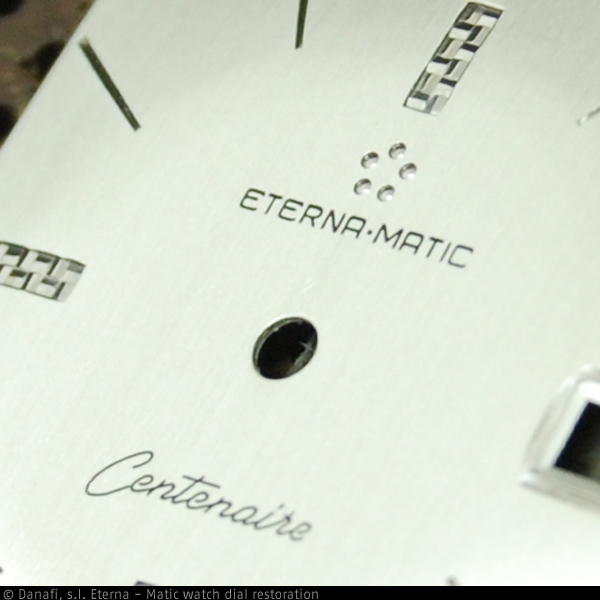 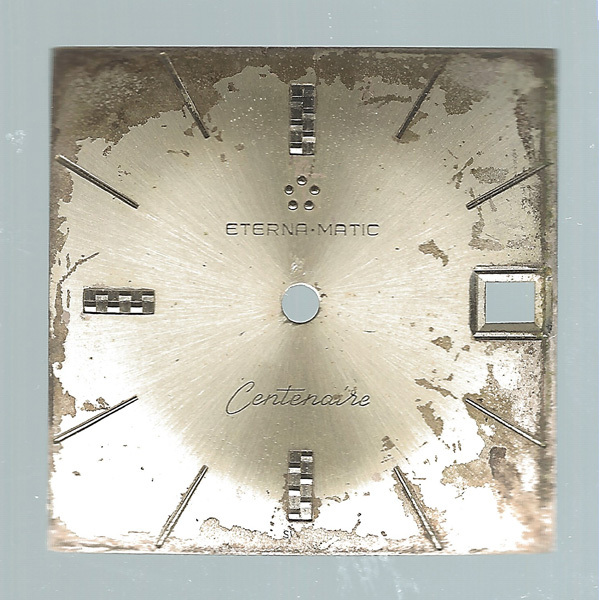 The dial has Restore the dial respecting the background black color, the original brand Eterna-Matic and the legend Centenaire as well as the swiss mark on it. The dial has 11 embossed sticks (low relief) and 3 are more thick with a square pattern...very beautiful sticks and very difficult to restore them.